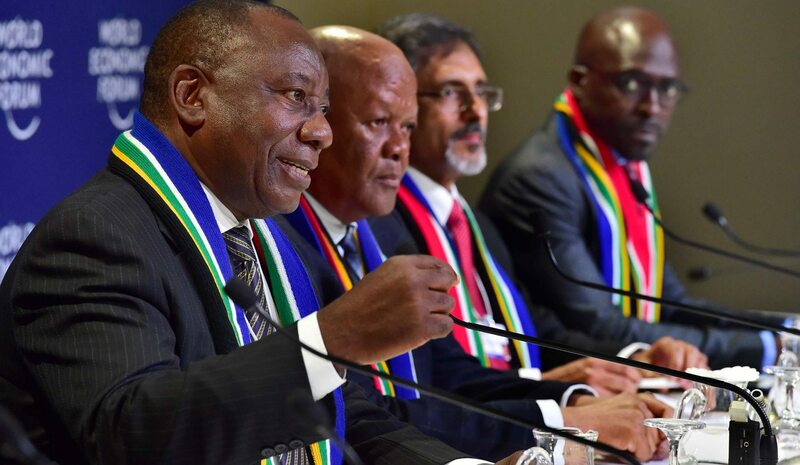 When President Cyril Ramaphosa announced his new Cabinet just 10 short days ago, there was much gnashing of teeth over some of the people he retained. There were important questions asked about the morality of keeping people like Nomvula Mokonyane and Bathabile Dlamini as ministers, considering their history of serving enthusiastically under former president Jacob Zuma. At the time, it appeared that Ramaphosa had decided to follow a strategy of allowing some people to remain in office, while predicting that their own actions, both previous and present, would end up with them becoming so weak that he could just remove them at will. There are now signs that his strategy might have been good. By STEPHEN GROOTES. Malusi Gigaba. The name. What does it evoke in you? Fear. Or laughter? Former DA leader Tony Leon probably summed it up best on Wednesday when he tweeted that the Minister of Home Affairs had gone from a figure of national danger to a laughing stock in just two short weeks. It was a salutary reminder of how quickly things can change in politics. Because Gigaba, in case you’ve forgotten, was the person who formally introduced the increase in VAT. He is now reduced to lying and twisting the truth over the citizenship that was clearly given to the Gupta family. It is increasingly clear even to his most ardent defenders that his position is untenable. So difficult is Gigaba’s current position (first he claimed Atul Gupta didn’t have citizenship, then pictures emerged of the Guptas having voted, then the Electoral Commission confirmed they were on the voters roll, which means they are citizens, then the Home Affairs director-general confirmed Atul Gupta did have a South African passport), that in the end he simply claimed to feel too ill to face questions in the National Assembly. But he didn’t even sign the letter to Baleka Mbete, he was too busy “rushing to the doctor”. It now seems likely that Ramaphosa will not actually have to do too much to get rid of him. He can wait for ANC MPs themselves in the House to say that Gigaba is not fit to be a minister, and the president can do a good impression of simply listening to their views and acting accordingly. Gigaba is not the only one. Much was made of Dlamini’s appointment as Minister for Women in the Presidency. But consider her current standing in society. She is seen as the woman who deliberately kept Cash Paymaster Services in the business of paying social grants. She is the person who literally moved heaven and earth to help “White Monopoly Capital” make billions out of handing cash grants to the poorest of the poor, whose lives she recklessly endangered in the process. It is highly likely that, courtesy of the Constitutional Court, Dlamini will end up being the first Cabinet minister ever to have to pay some of the legal costs she incurred needlessly. There will only be more calls, from the ANC, for her to be fired. Then there is Nomvula Mokonyane, who was moved from Water Affairs (and dehydrating Cape Town) to Communications. Considering that Communications used to mean, during the days of Faith Muthambi, “controlling the SABC”, this could be seen as a dangerous appointment. But look at her position. The SABC has the strongest board it has had in years, and they’ve already shown they can stand up to the bullies. And she is about to come under tremendous pressure. Parliament’s ANC-dominated Standing Committee on Public Accounts has already said that it wants a fully inquiry and then criminal charges to be instituted against her for “collapsing the Water Department”. And that’s before you consider the political fallout from the City Press report that she had allowed a man with whom she was in a relationship to basically run the department. Reports like these remove legitimacy from people in high office. It should not be forgotten that there are at least two people in Cabinet who were appointed by Zuma who Ramaphosa surely cannot trust. The first is Justice Minister Michael Masutha. While he has not (yet) been accused of any heavy Zuma-era wrongdoing, so important was the justice and security cluster to Zuma that it is unlikely that he is a supporter of Ramaphosa. But the position actually has very little power, considering that the big appointments, judges and the head of the National Prosecuting Authority all come under Ramaphosa anyway. The second person is the Minister of Defence, Nosiviwe Mapisa-Nqakula. So quickly have events moved that many people may forget that she is the first sitting Cabinet minister to be accused of actually smuggling a real live human being into the country. In some countries, when a new president takes over, particularly in politically difficult circumstances, this is the first ministry to be occupied by a trustee of the new president. So peaceful was this non-coup that Ramaphosa didn’t have to worry. Mapisa-Nqakula’s previous actions have made her so vulnerable that she has no option but to simply carry out his wishes. Interestingly, despite all of the twisting in the wind of these members of Cabinet, perhaps the most politically significant development this week was what happened in the Free State. There, a man described as “a close associate” of the Premier (still! ), Ace Magashule, was convicted of fraud. Isaac Seoe appears to be closely linked to Magashule, through a relationship going back many years. This makes him vulnerable to any pressure to cough up what dirt he may have on Magashule, who himself could be charged with wrongdoing in the near future. Considering that he also moonlights as secretary-general of the ANC, Ramaphosa could well enjoy watching that happen.